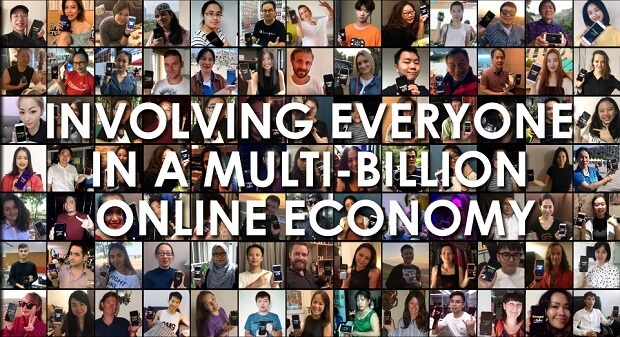 Imagol is an innovative blockchain-based P2P photo marketplace. 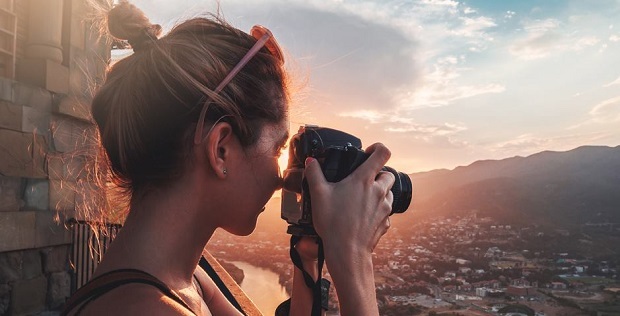 Everyone is a photographer, and anyone can monetize his or her creations using Imagol DApp. Imagol wants to make images affordable by introducing competition in the almost monopolized digital stock image market. Imagol’s mission is to inspire creativity by connecting artists with users in a fair and thriving community of original contents exchanges. Imagol strive to uncover creative talents in underprivileged communities and equip them with photography skills to support and improve their livelihood through Imagol’s platform. Q: What was your inspiration for starting this project? A: I was a creative director in the advertising industry, and like any other creative, I used stock photography for a clients’ project. The price of a stock photo can be high, but I thought photographers should be fairly compensated for their work until I found out that large stock photo libraries take up to 85% of a stock photo sale, and these add-on costs push stock photos beyond affordability. The high prices of stock photos after the add-on costs discourage many users from paying despite their willingness to support original work. Isn’t it more convenient for us illegal “free” downloads through search engines? Back in college, I was trained to solve communication problems, and I want to address this imbalance, so I came up with a solution, which can be sustainable, and it can help solve the multi-billion losses incurred by photo piracy. Many users own smartphones today. Most of these smartphones are equipped with high definition cameras. Some of the photos shared on social media by amateur photographers are as good in quality as professional photographers. In the Deloitte TMT predictions in 2016, they predicted that 2.5 trillion photos would be shared or stored online. If we can make use of these 2.5 trillion photos, offer them as stock photos, we will have the most diverse and most comprehensive stock library. Users do not have to be visiting so many different sites in search of one picture. Licensed digital images will be more affordable. These insights inspired me to start Imagol. It is an open and fair market, a platform that makes use of high-quality photos shared on social media and stored away. Everyone can be a photographer. Anyone with a cellphone can get involved, and be remunerated. Every creation can be monetised. Q: Why do we need to revolutionise the photography world? A: The growing demand for digital photos is propelled by a fundamental shift in consumer behaviour on social media towards more visual based contents. As worldwide social media users continue to grow, the choice of paid stock photos has also been shifting from high premium stock photos to more affordable micro-stock. Unlike large corporations and marketing agencies that have deep pockets, small to medium enterprises (SMEs), students and self-employed professionals are limited by what free stock photo companies can provide or risk copyright violations in “accidental theft” of intellectual property. The fight against online piracy is continuing; the photography industry has a new wave of regulations (e.g. General Data Protection Regulation (GDPR), Digital Millennium Copyright Act (DMCA)) in recent years with new technologies like blockchain to support the legalisation of photo downloads. The potential litigation and penalties of copyright infringements will impact all users of online photos and will help to boost paid downloads. The Coordination of European Picture Agencies Stock, Press and Heritage (CEPIC) indicated that up to 85% of image downloads (stock photos and artwork) in 2014 were unlicensed. While the industry continues the effort to fight piracy, we choose to focus on what drives users’ decision making and provide them with an alternative. On the other hand, smartphone camera technologies have improved drastically. The camera and imaging software technologies on smartphones are likely to advance further with an increasing number of professional camera makers sharing their technology with smartphone makers. Improved quality of photos coupled with the convenience and ubiquity of Internet-connected, social media enabled, photo editing capable smartphones means that anyone can take high-quality images, and more people are getting into photography and showcasing their talents online. Therefore, we can make good use of these photos, by making them available for purchase. Imagol will inspire creativity by connecting artists with users in a fair and thriving community of original contents exchanges. We want to make licensed digital images more affordable, expanding the size of the underlying market for digital images and to facilitate easy monetisation of photos and make the most of everyone’s creation. Q: From the buyer’s perspective, how does it work? A: With a wide range of competitive digital images, buyers can choose what they need, and buy based on their budget. With an open market, we believe the price of digital photos will be competitive and affordable. Buyer can directly converse with photographers. Buyers can also order bespoke pictures. Q: What are the benefits of using your platform and your tokens? A: Imagol’s Blockchain enabled peer to peer stock library network allows any two willing parties to communicate and transact directly without the need for a third-party, thus lowering the cost of photos and gives a better financial reward to the photographers. There will be more efficient, quicker, and safer way to show appreciation through an actual transaction allowing photographers to earn reputation and money at the same time. Photographers can designate a digital image as limited editions or institute a pre-determined revenue share scheme to creation participants. We are also transforming the way traditional stock photo library works by using tokens to replace the use of credits for image purchase. We will issue IMA tokens, which everyone can use as a medium of exchange for images and related services between participants within the ecosystem. IMA will also be used to incentivise participants for sharing and contributing to the system. Third-party image management companies can offer their products and services in exchange for IMA in the ecosystem. We will also work with other partners and their tokens; therefore creating convertibility mechanisms to allow IMA to be exchanged for other tokens and vice-versa. Q: What can we expect from Imagol in the future? A: With Imagol DApp, anyone with a smartphone camera can be a photographer. This low barrier of entry will attract millions of professional and amateur photographers worldwide to the platform. With the vast amount of contributed photos, images will be very affordable. In the free market, photographers are free to price their creation starting at 10 cents a picture. We believe the affordability of stock photos will address the losses of multi-billion dollars in photo piracy, and promotion of good online practice and ethics. Besides, the platform has gone a step further by introducing a social network in the community. The “social” quotient will expedite the growth of the Imagol community, acquire and maintain more active users. We believe Imagol will be number one ranking D-App with the largest pool of users.